TeX, simple as.. well, not pie. I think I have abandoned MultiMarkdown 3 (MMD3) in favor of writing my thesis directly in LaTeX. It’s not that MMD3 is not good. In fact, MMD3 is great! Managing problems in LaTeX was what made me make this decision. Previously, I was writing my thesis in Scrivener, using MMD3 text as my writing format. MMD3 keeps the clean and unobtrusive markup of Markdown, but adds features needed when writing something like an academic paper (such as support for citations, math, tables and footnotes). MMD3 is also exportable to LaTeX which can then be compiled into a nice looking document. This has worked quite well in the past, but as my thesis has evolved and I have found reasons to “complicate” things, the MMD3 transformation into LaTeX has proven to be a bit underpowered for my needs. If the goal is to quickly write text, and get a nicely typeset and laid out document, I would still prefer MMD3 over LaTeX. However no I have had the experience that I am writing and writing and then I want to compile my document and I get errors which I do not know what they are about, so instead of dealing with a boatload of errors when I really need that compiled PDF file, I have decided to write in LaTeX as my source and deal with the errors one at the time as I progress. Anyway, to get to the point of this post, I was actually trying to understand the differences and levels of the “LaTeX framework” (I know this is sort of the wrong term to use, but lacking a better, I will be using it here). 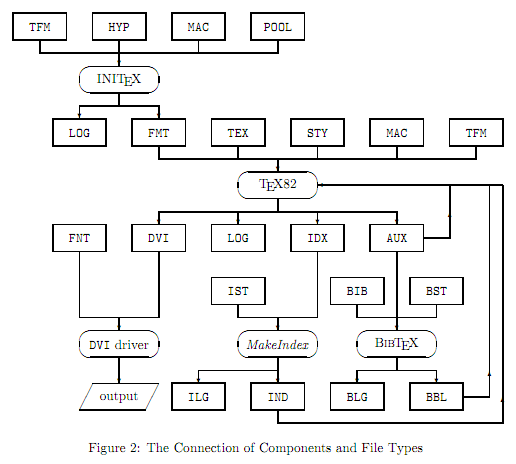 I stumbled onto a nice document detailing the TeX architecture which had a nice figure which was what I originally wanted to share. Update 2011-11-20 08:35:34: Posterous had issues with my attached image. I captured it with Skitch which named it using the URL of the PDF which was showing in my browser. This was interpreted by the email filters at Posterous as a security issue. The full pdf can be found here. Posted on 2011-11-19 2012-03-14 Author fnurlCategories UncategorizedLeave a comment on TeX, simple as.. well, not pie. I am trying out the Pomodoro Technique again, but this time I have made my own paper tools. I started off with a list of tasks and boxes for each task. Each box being a pomodoro attempt. A successful pomodoro is marked with an ‘ok’ in a box. A cancelled or interrupted pomodoro is marked with an X (PDF: timeboxes (pomodoro)-4up.pdf). I also re-iterated the task card into a score card. Getting pomodoros done is more important at the moment than reporting what I am doing; I have a separate system for keeping track of tasks. Also, I think it will be more fun to score lots of tomatoes, than just a few per task. (PDF: Pomodoro Score Card-4.pdf). I am attaching three PDFs to this post, one for each paper tool. The score card and the task card PDF have four of each on a single sheet for printing and cutting. The F.A.M.E.S. sheet comes as four 2-up pages which can be printed out double sided, folded and stapled into a small booklet. Fantastic information! 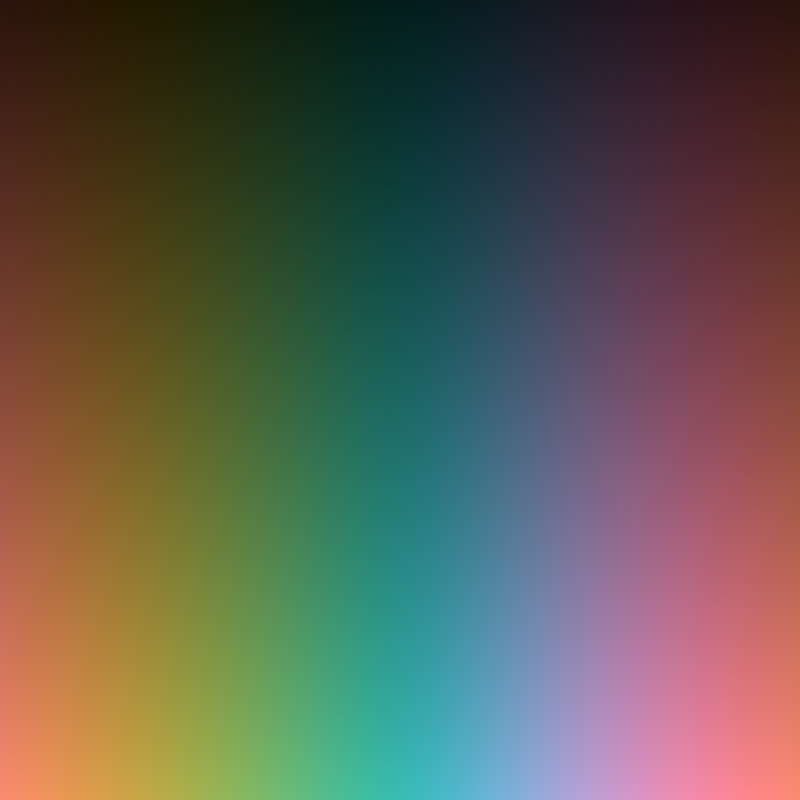 This is how the color spectrum should be visualized in our color pickers! If you use color pickers on a computer, you need to see this! Creating multiple Spaces (four, in my case) for various purposes. Assigning certain apps to always open on a specified Space (and certain other apps to open on all Spaces). Switching directly to a given Space using a keyboard shortcut. All of this functionality remains available on Lion, but some of the settings have changed location. Spaces still exist in Lion, but they are hidden in Mission Control and you need to move your mouse to the right of the desktop thumbnail row at the top of Mission Control. Only then does the “Add Desktop” button pop up. based medicine organised and participated in a double blind, randomised, placebo controlled, crossover trial of the parachute.